It’s a lot more than just sending out dozens of spam emails and hoping someone, anyone clicks a link. Now, you may have read our overview post, The Beginners Guide to Email Marketing that covers the basics on email marketing. It’s a great start, and we’re going to build on the foundation of that here. In fact, email marketing is one of the best tactics any brand can employ to generate leads, build connections with potential customers, and of course, make more sales. But first, let’s take a look at how important email marketing can be in growing your business. Still with us? Glad to hear it! Now, if you’re a service business you might be wondering how email marketing campaigns can work for your brand. 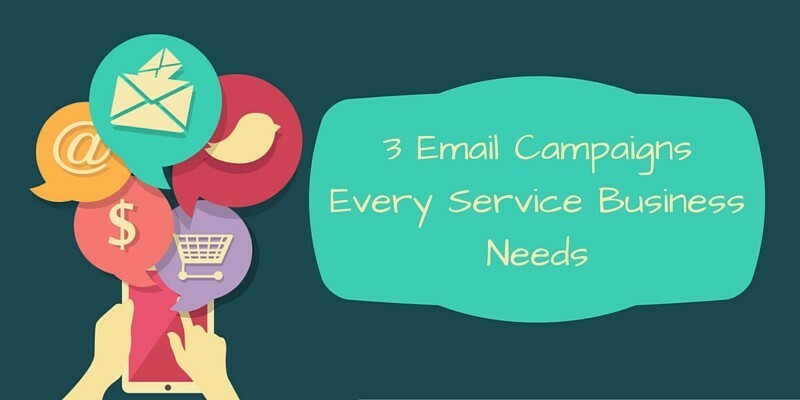 You’re in luck, here we’re going to share with you three different autoresponder campaigns any service business can use to help grow your business. Keep in mind, for many service based businesses, the customer lifecycle is going to be much longer than it might be for an ecommerce based business. Because of that, you can’t always count on customers returning to you monthly, or even quarterly. That’s why you absolutely want to embrace the referral campaign. So what is a referral campaign exactly? You can create this campaign to get in touch with past or current customers and ask them to share your services with their friends and family. It sounds pretty simple, but referrals are actually hugely effective. That’s a pretty huge number, and shows just how important trust is in a world where we are constantly bombarded with information that can be hard to sift through and decipher. This is what you want to capitalize on in your referral campaign. When people trust, they buy, remember that. Not only that, but studies have found that referred customers typically end up being better customers who have a higher lifetime value and are less likely to leave. Now, the good thing about a referral campaign is it’s quick and easy. You don’t need to set up a big series of emails, this is a one and done series for the vast majority of you that you can schedule to be sent out shortly after a customer has purchased your service. Sounds pretty enticing from the customer side of things, right? Think of it from the business end of things. 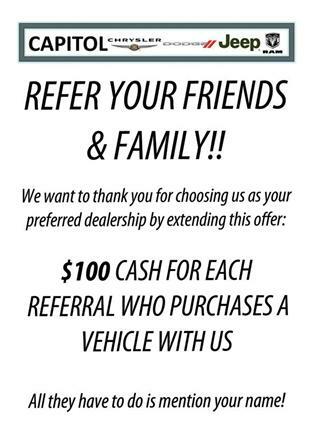 Sure, you are giving away $100 for each referral, but that is nothing compared to the actual cost of the vehicle purchased by the new customer. In this case, the return on investment would be through the roof. These campaigns can be sent out by a number of different types of businesses, including dentists, plumbers, mechanics, lawyers, and landscapers, just to name a few. For more insight into how to specifically get started with a referral campaign, this is a great post by Referral Candy. As we mentioned earlier, most service providers won’t have a short lifecycle when it comes to customer purchases. But, many can use their email campaigns as a way to check in with customers and remind them of other services. 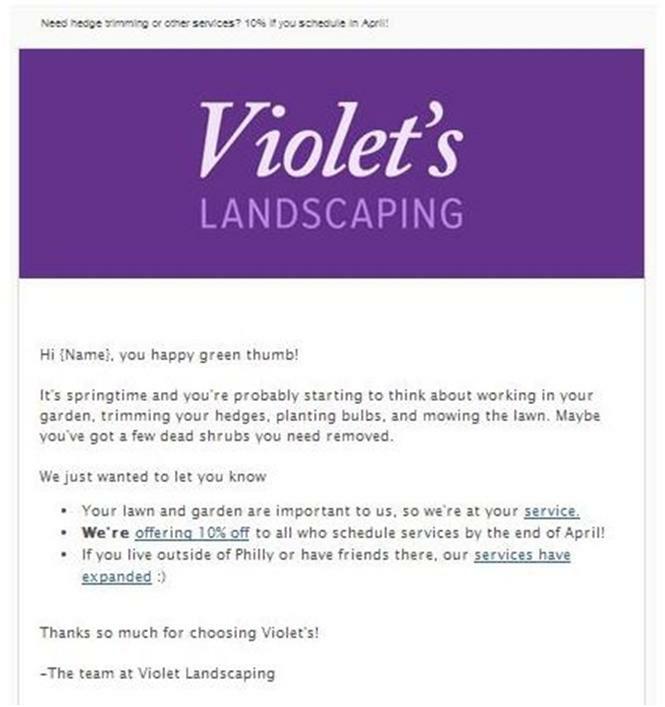 Let’s use this Violet’s Landscaping email as an example. Now, a typical landscaping customer is not going to be thinking about their lawn all winter (especially if you live here in New England!). So when sending out a gentle reminder email is going to get past customers interested in getting back on track with their landscaping. A landscaper that doesn’t use email campaigns will typically get many of their customers back, but will likely lose a few simply because they forgot. The customer follow up campaign helps remove this all together. Listrak found that on average, most brands email lists have an inactivity rate of 63%. That means well over half your list is likely not reading your content, but taking a time based follow up approach will help cut those numbers way down. When the follow up campaigns are scheduled to go out at the right time your business can re-capture customers interest and, in many cases, actually grow the level of trust between you. Here’s where the right approach can really pay off. Let’s face it, most of these things are easily forgettable, you never notice your tires need rotating or your hot water heater needs a check up until it’s too late. When your brand approaches this type of campaign not under the guise of hoping your customers spend more money (though that is a nice side effect), but instead that you are providing value, it makes a big difference. Transactional emails is just a fancy term that covers emails like welcome emails, order confirmations, billing information, and shipping confirmations. Not exactly. 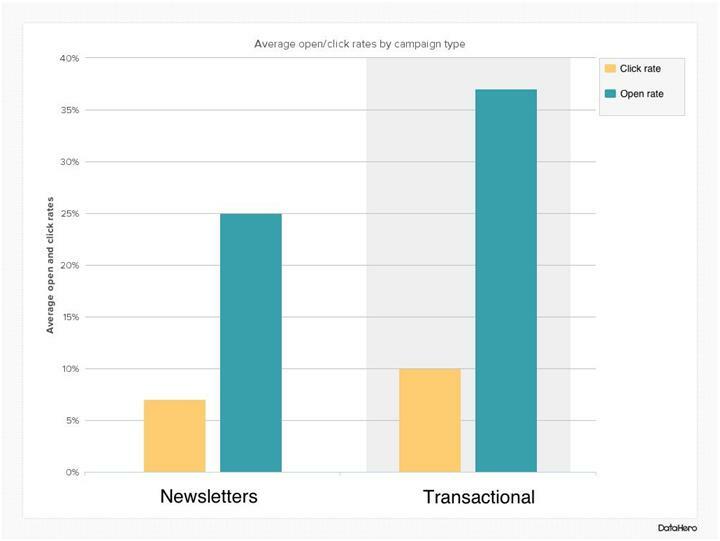 Especially when you find out that transactional emails have a much higher rate of both opens and clicks than typical newsletters. Now, these types of emails are opened far more often because the reader knows exactly what they are getting, which is a good thing. Plus, not only do transactional emails have more opens and clicks, but they have also been shown to generate up to six times more revenue. But that doesn’t mean you can’t use transactional emails to still promote your brand, ask for referrals, and provide value to your customers. In fact, the brands that do actually use their transactional emails with success are those that have found a way to add in those little tidbits of information that appeal to their customers. Of course we’ve all gotten tons of transactional emails in our inboxes from blogs or ecommerce stores on a regular basis, that doesn’t mean it’s only these types of brands that can use them. That’s what makes transactional emails hidden little gems. Since the vast majority of your customers are going to be opening these emails, you can capitalize on the fact that you have their undivided attention for a few precious seconds. Chances are, once you start adding extra information to your transactional emails, and start sending them out to your customers on a regular basis, you’re going to notice an influx in engagement and interaction. Now, by no means are these the only campaigns you can have for your service business, but we think this is a good start. As you get more comfortable with your email marketing you can start expanding to include even more campaigns. Once you truly embrace email marketing as an important marketing tactic, you’re going to be able to diversify your approach to your current customers, gain new customers, and see a nice little bump in revenue. Have you already started your email marketing campaigns? What kinds of success have you seen? Let us know in the comments! 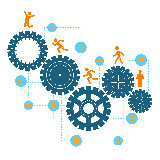 We have seen tremendous success with the automated email series asking for referrals. Typically our clients see a huge increase in revenue. Normally, companies do not ask for a referral and that is why they do not get it. It is super easy to set them up and really pay off. For example, a swimming pool builder gave away $500 for every new pool built. This is pennies on the $25,000 starting price. The great part about it, it generated a small sales army for the company. That’s really interesting. I agree, seems super easy to setup and comes with a potentially very high upside. We don’t do it either. Something we may have to fix! Thanks for sharing email campaign. The referral process easier for marketer and customer, you will need to uncover any hang ups they may have about referring.